David Le/Gloucester Daily Times. 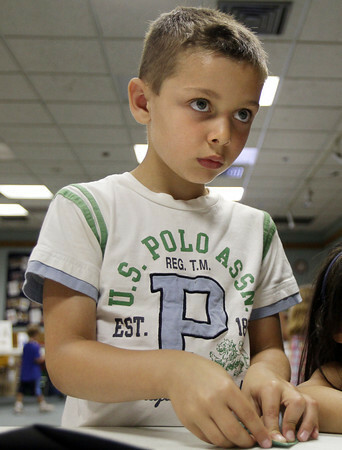 Frankie Desisto, 6, concentrates on a board with directions on how to make an origami hat during Origami Around the World held at the Gloucester Lyceum and Sawyer Free Library on Monday morning. 7/11/11.